the Wall are memorial notices (not as one reader suggested applied to the photo later). Tomorrow Jews around the world will commemorate Yom Kippur, the Day of Atonement. 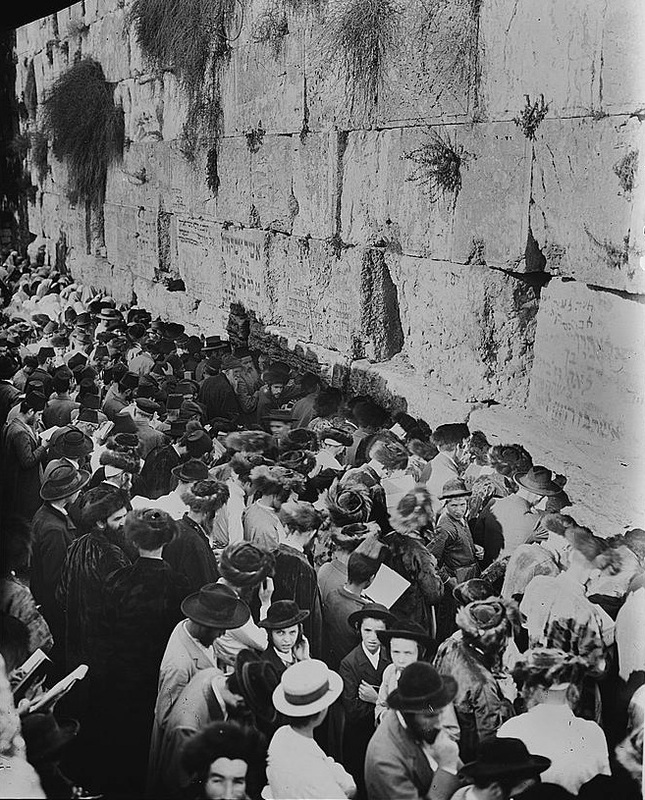 For many Jews in the Land of Israel over the centuries the day meant praying at the Western Wall, the remnant of King Herod's retaining wall of the Temple complex destroyed in 70 AD. 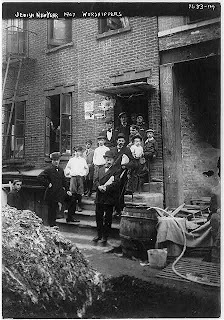 Several readers commented on the intermingling of men and women in these historic pictures. It was not by choice. The Turkish and British rulers of Jerusalem imposed restrictions on the Jewish worshippers, prohibiting chairs, forbidding screens to divide the men and women, and even banning the blowing of the shofar at the end of the Yom Kippur service. View this video, Echoes of a Shofar, to see the story of young men who defied British authorities between 1930 and 1947 and blew the shofar at the Kotel. 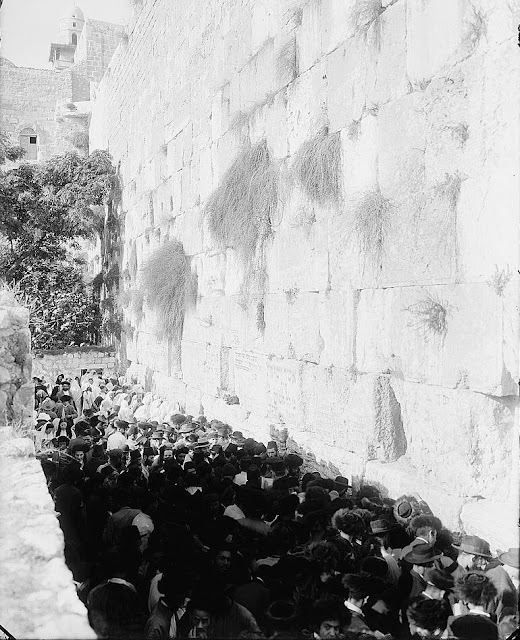 The Library of Congress collection contains many pictures of Jewish worshippers at the Western Wall over the last 150 years. After the 1967 war, the Western Wall plaza was enlarged and large areas of King Herod's wall have been exposed. Archaeologists have also uncovered major subterranean tunnels -- hundreds of meters long -- that are now open to visitors to Jerusalem. Receive a Daily Picture by subscribing in the right sidebar and clicking "submit." We were a little surprised to find this picture of a lithograph in the Library of Congress archives. 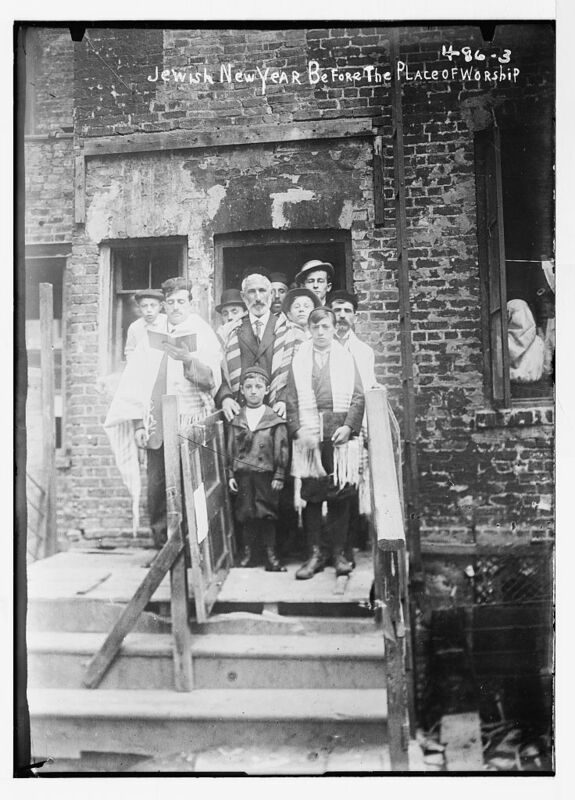 The caption reads, "Service on the Day of Atonement by the Israelite soldiers of the Army before Metz 1870." No other information is provided. 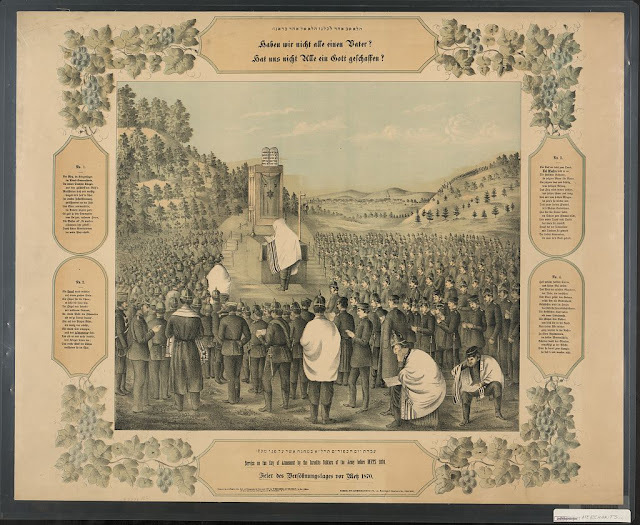 This lithograph depicts the Kol Nidre service performed on Yom Kippur 1870 for Jewish soldiers in the Prussian army stationed near Metz (Alsace region) during the Franco-Prussian War of 1870-71. The Germans had occupied Metz by August of 1870, however were unable to capture the town's formidable fortress, where the remaining French troops had sought refuge. During the siege, Yom Kippur was marked while hostilities still continued, as depicted in the lithograph. Rabbi W. Gunther Plaut, a scholar and Reform Jewish leader who passed away at age 99 earlier this year, provided more facts about the picture. In fact, he called it a "fraud." Of all the things in my grandfather's house, I remember most vividly a large print. It was entitled "Service on the Day of Atonement by the Israelite soldiers before Metz 1870." Later I was to learn that this print hung in many Jewish homes.... It was reproduced on postcards, on cloth, and on silk scarves. The basic theme was the same: in an open field before Metz, hundreds of Jewish soldiers were shown at prayer. A considerable difficulty arose in relation to the place for the services. Open air services were deemed impossible for Tuesday night because of the darkness and were ruled out for Wednesday because of the obvious reasons [it was a battlefield].... My immediate neighbour was willing to grant me the use of his room so that the service took place in our two adjoining rooms. Of the 71 Jewish soldiers in the Corps some 60 had appeared. 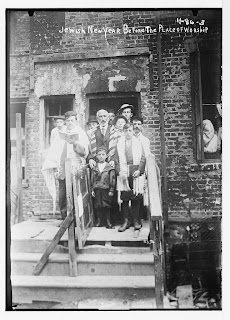 Amongst them were several physicians, a few members of the military government, all of them joyously moved to celebrate Yom Kippur. The place of prayer consisted of two small rooms.